The likelihood of injury to veterinarians while performing job duties is greater than that of firefighters, reports Horse & Hound. A paper published in Equine Veterinary Education reports that on average, an equine veterinarian receives seven to eight work-related injuries in a 30-year career. These most often injuries include fractures, bruises and cuts to the leg or head. 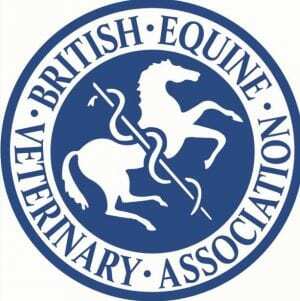 Horse owners are being encouraged to make life safer for their vets, their horses and themselves through the British Equine Veterinary Association's (BEVA) “Don't Break Your Vet” campaign. The association created a series of videos that demonstrate techniques for calming horses in different situations, including trotting, leading, clipping and giving injections. The organizations notes that many accidents occur when horses are not accustomed to being examined or treated or when they have learned how to avoid these situations. Many times these situations result in a stressed horse, which can increase time and cost of correct diagnosis and treatment. A few minutes of preparation on the horse owner's part can make life a lot easier for the vet and the handler. Vets should be able to focus on the horse and his issues without worrying about their own safety. Of the injuries vets reported, 7 percent resulted in loss of consciousness and nearly a quarter of them lead to hospital admission. The “Don't Break Your vet” videos can be seen on BEVA's YouTube channel. This entry was posted in Horse Care and tagged beva, British Equine Veterinary Association, vet injuries, vet safety by Paulick Report Staff. Bookmark the permalink.